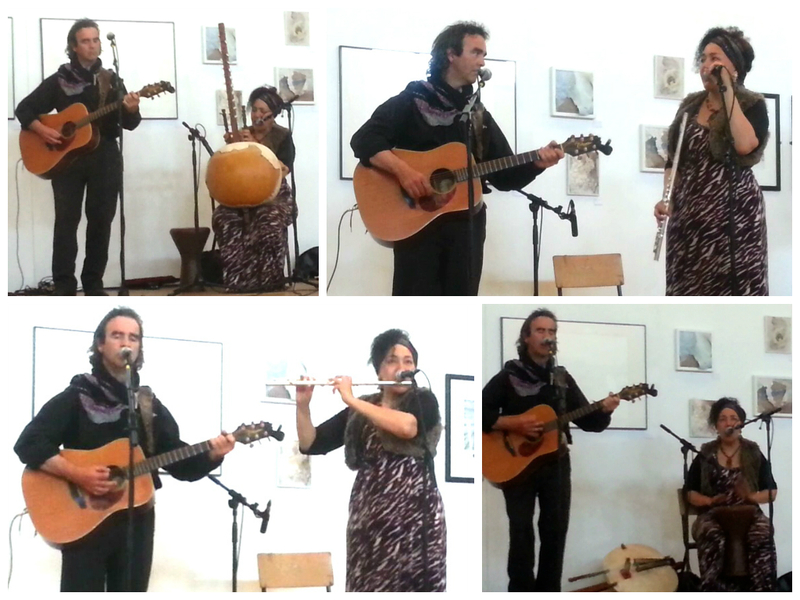 An Anú is an original World/Celtic musical collaboration between singer songwriters Liam Mac Amaila and Helen Webb. Seasoned artists and performers, they bring together vibrant World rhythms and Celtic mystery and mythology. 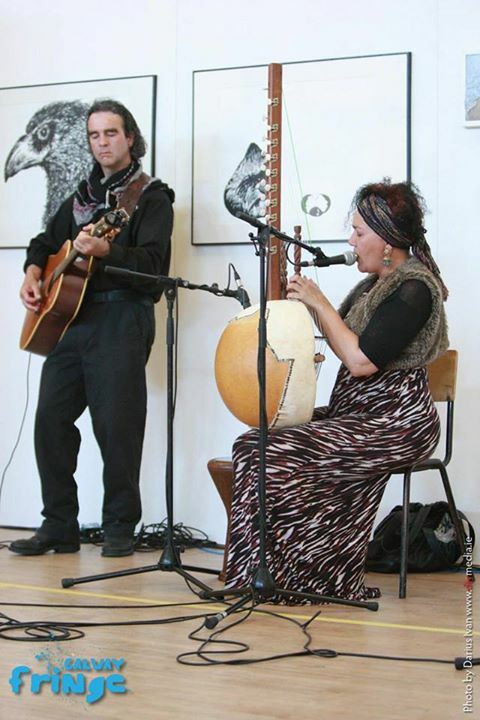 Both powerful vocalists and accomplished musicians Helen and Liam bring a musical message rooted in mythology and history, spirituality, love and hope for the planet. 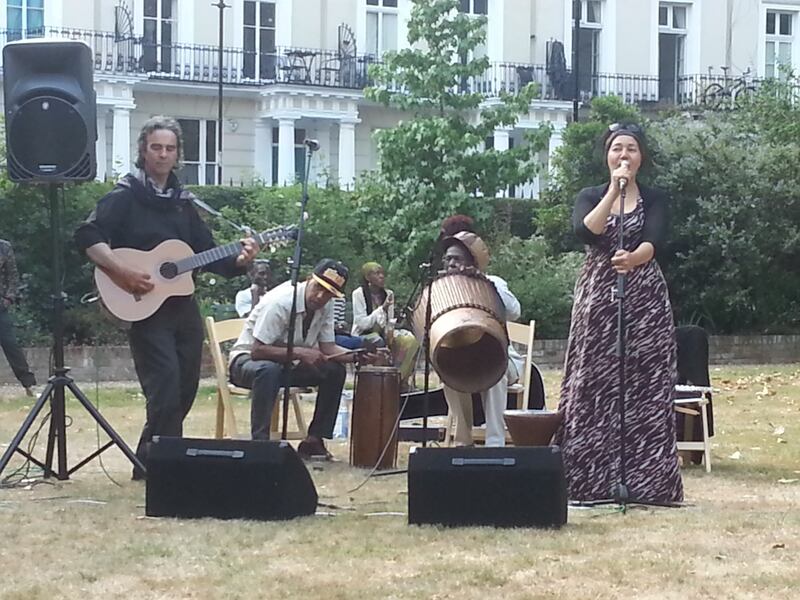 Instruments include, kora (West African harp) flute, acoustic guitar and darabuker. An Anú at The Townhouse, Spanish Arch, Galway City, Eire. 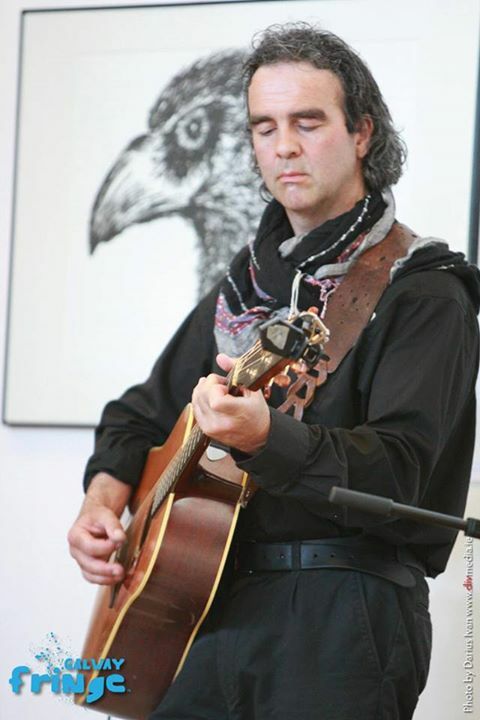 4th August 2013 An Ton Studios, Gort/Kinvara Lugnasagh Festival 9pm. Watch this space for more information..
Cruinniu Na Mbad Festival Kinvara 18th Aug 6.30pm the pier stage, with The Dubliners and The Rascals. September 14th 10pm, all Ireland Permaculture Gathering 2013, Claire galway. You can contact An Anú on 00353 (0)872459411 or helenwebb@mac.com, or use the contact form below to join Anua’s mailing list, or to contact Anua regarding a booking.